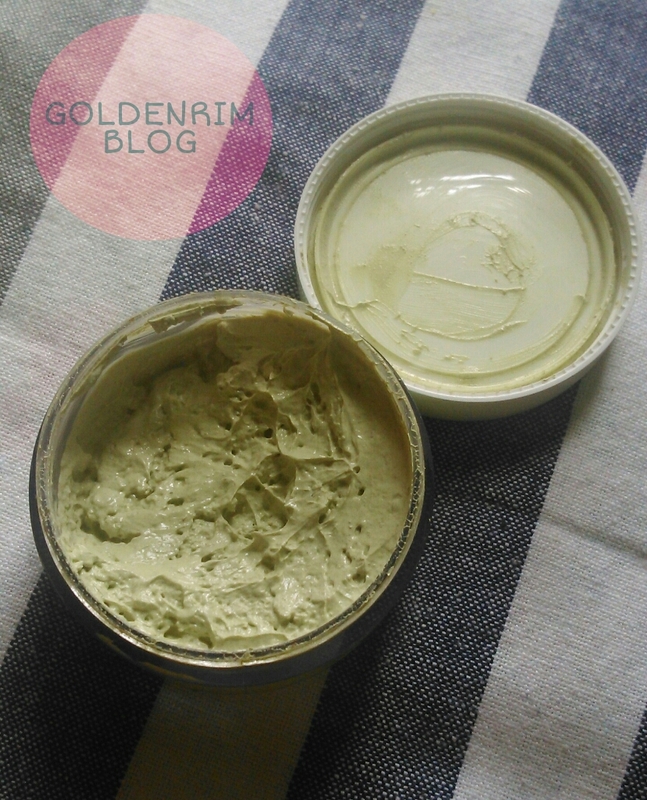 After turning to skincare blogging I have started taking extra care of my skin. I know how important it is what all we put on our skin and when and how we remove it. Inspite of taking care of skin, during 'those' days of month my skin gets small red bumps which totally scar the skintone. 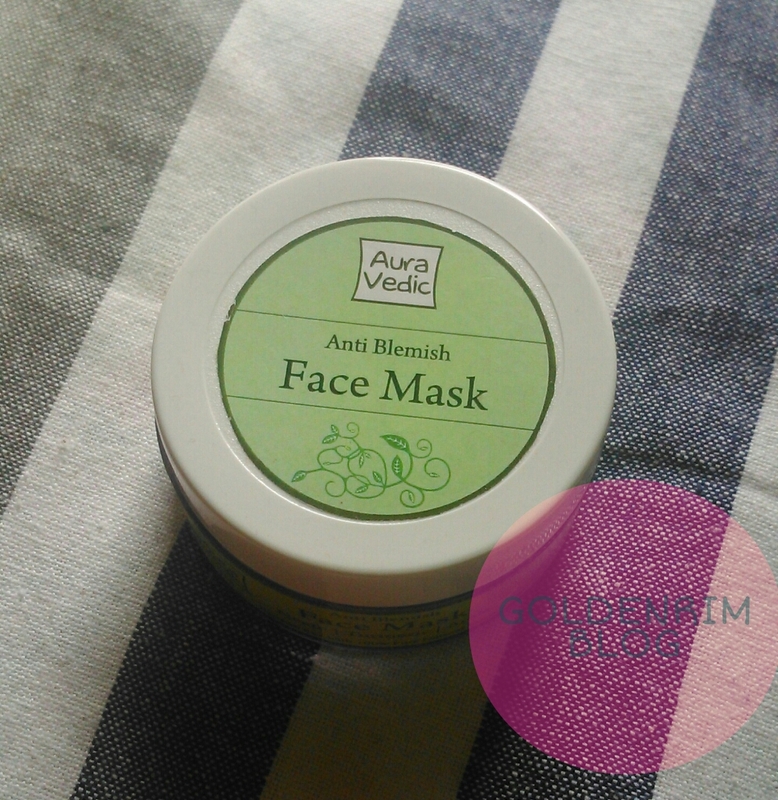 Read on why I recommend Auravedic Anti Blemish Face Mask for this problem. Ingredients : Extracts of Neem, Amla, Turmeric, Tulsi, Aloe Vera, Papaya, Tea Tree Oil, Jojoba Oil, Coconut Oil, Sage Oil, Willow Bark, Ceto Stearyl Alcohol, Stearic Acid, Steareth 10, Kaolin, Sorbitol, Triethanolamine, Phenoxyethanol, Ethylhexylglycerine, Purified Water. The product is packaged in a thick plastic tub with double lid for non spillage purpose. The ingredients list is very very impressive as all are skin friendly. The product has a basil fragrance with substantial hint of amla and neem. The fragrance is not bothering at all. I used it before my those days and the red bumps which otherwise alert me of those days didn't show up. The red bumps totally damage the skintone and it looks as if I have some rash. The product has been very helpful in lightening the pigmentation as well. The only problem is the facepack doesn't dry easily. This maybe because of the oils present in the facepack. I don't have any problem regarding this, but in case you use and wait for it to dry, don't be astonished if it doesn't dry. I would also love the facepack in dry sort to eliminate the preservatives, but that's ok as long as the product works. Price and shelf life - 200 INR for 50 g and shelf life 2 years from date of manufacturing. I totally recommend this product if you want to control your breakouts. It shows effect from around third use and regular usage will definitely help in curing blemishes. I found a considerable difference in my skintone. I am surely going to repurchase this product. Do you have such a product? Do pour in your suggestions.